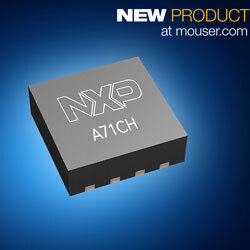 Mouser is now stocking the A71CH secure element from NXP Semiconductors. A ready-to-use security solution for next-generation IoT devices, the solution offers a root of trust at the IC level to provide chip-to-cloud security out of the box. With the solution, designers can safely connect to IoT clouds and services without writing security code or exposing keys for applications, such as connected industrial devices, IP cameras, smart home devices, sensor networks, home gateways, and smart cities. The solution offers secure, zero-touch connectivity for IoT devices. This encrypted and authenticated interface-to-host processor can be securely provisioned with the needed credentials for autonomous cloud onboarding and peer-to-peer authentication. Highlighting security functionalities such as ECC key generation and signature verification, encrypted key storage, and an encrypted vault for product master secrets, the chip is designed to help protect private information and credentials for mutual authentication. The solution employs a unique ‘Plug & Trust’ approach to support easy integration of security and cloud onboarding through host libraries, example codes and various application notes, as well as the Arduino Compatible Development Kit. The kit includes an A71CH Mini PCB board and Arduino-compatible interface board that seamlessly connects to many NXP LPC, Kinetis, and i.MX boards to support microcontroller and microprocessor development.